Are you looking to move your business into a new market? Consider Malaysia for your next entrepreneurial venture. According to market data, Malaysia’s GDP is growing at a steady pace. This growth is expected to continue for years to come. If you are a small to medium size business owner, here are five things you should know about Malaysia’s GDP and economy. Malaysia’s GDP has had steady growth over the last 30 years. Like most economies, it suffered in the mid 1990s and late 2000s. However, it bounced back and continues to grow at a steady 4-5% annually. This is excellent news for small to medium sized businesses. These businesses are actually growing at a rate of close to 30% faster than the standard economy. If you are looking to invest in a new entrepreneurial market, consider Malaysia. Their GDP growth is a good reason to move into this area. Malaysia GDP strength has a lot to do with Malaysia’s successful economic transformation. Once an exporter of raw materials, Malaysia is now a diversified economy. Services currently account for 54% of GDP. Manufacturing accounts for 25%, agriculture 9%, and mining 9% as well. 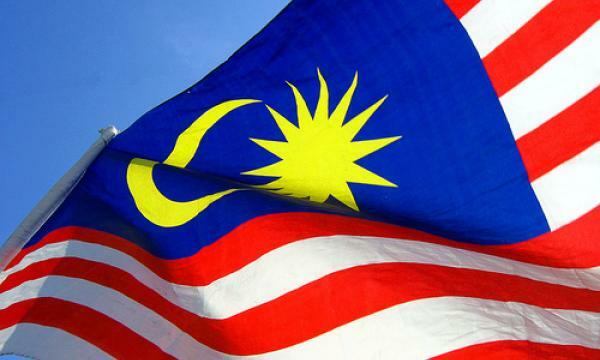 Instead of shipping their natural resources out for other countries to reap the benefits, Malaysia has taken their economic growth into their own hands. They have improved from within. This creates great opportunities for small businesses looking to enter a new market. It also accounts for much growth in Malaysia’s GDP. Another benefit to strengthening one’s own economy is the reduction in poverty and unemployment. By growing industry within, Malaysia has increased its GDP. Its internal job market growth followed suit. Low unemployment and poverty combined with student loan refinance updates help strengthen the buying power of Malaysian citizens. These individuals then redistribute that wealth into the economy. It is a win-win for all involved. This is yet another reason to consider Malaysia for your next entrepreneurial move. When it comes to Malaysia GDP, the economic goals of the country have a big impact. In this case, Malaysia aims to attain high income status by 2020 while ensuring that the growth achieved is sustainable long-term. This spells only good news for potential business owners. When people make more money, they spend more money. It is as simple as that. Keep the Malaysian economy future goals in mind when making your decision. According to the World Bank, Malaysia is the 18th easiest country in which to do business. This means it is easy to obtain financing and is fairly competitive. Malaysia GDP growth creates a financial stream that gives entrepreneurs opportunities unavailable elsewhere. If you want to start a small business you need access to financing. Malaysia provides you this opportunity. One of the biggest concerns about Malaysia’s GDP growth is that it may not be sustainable. This is related to the fact that there are not enough adults starting new businesses in Malaysia, despite its favorable economic climate. This presents an excellent opportunity for business owners looking to start an entrepreneurial venture in Malaysia, whether you want to start a cleaning business or a new restaurant. The failure rate is quite low. A business owner willing to invest time and money in coaching Malaysian adults could be highly profitable. If you are such a business owner, take this into account along with Malaysia’s GDP when you start your new venture here. Malaysia GDP has seen excellent growth over the years. The country is in a favorable position to continue this trend. Low poverty levels, access to finances and a low failure rate make it an attractive location for business owners looking to diversify. Malaysia’s GDP could continue to increase with the help of business owners willing to invest time and money in developing business leaders. If you are looking to move to a new entrepreneurial market and Malaysia GDP has caught your attention, it is for good reason. Consider the country for your next business venture.